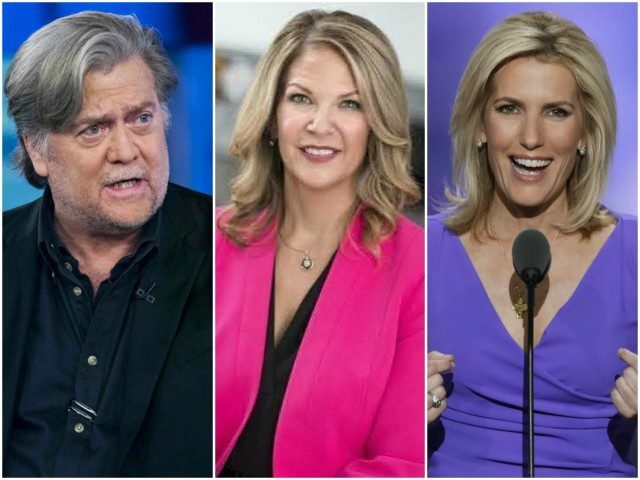 Former White House Chief Strategist and Breitbart News Executive Chairman Stephen K. Bannon will attend an event for 2018 Senate candidate Dr. Kelli Ward in Arizona on Tuesday. The event is headlined by conservative radio and soon-to-be Fox News host Laura Ingraham. In more senate anti-establishment news, Laura Ingraham invited Bannon to a Kelli Ward campaign event out West and he plans to attend. The event will be held at the Hilton Scottsdale Resort. Ward is challenging establishment Republican Sen. Jeff Flake in the 2018 Republican primary election. She previously served in the Arizona State Senate, but stepped down to challenge Sen. John McCain in the 2016 election. She received the highest percentage of votes of a McCain challenger in recent history. She also works as a practicing medical doctor. The event comes very shortly after an Alabama primary runoff election in which Judge Roy Moore beat out Mitch McConnell’s hand-picked replacement to Jeff Sessions, who left his seat in the Senate to take the position of U.S. Attorney General. McConnell’s candidate was backed by McConnell-linked Senate Leadership Fund and others with millions upon millions of dollars, some estimate in excess of $30 million. Moore won with just $1-2 million dollars. Bannon campaigned strongly for Moore as did grassroots conservatives including former Alaska Gov. and 2008 Republican vice presidential candidate Sarah Palin. A host of conservative and grassroots Republicans backed Moore over McConnell’s candidate.